The friendly staff at South Florida Institute for Wellness and Health welcomes your inquiry at (305) 935-5101 and is ready to provide you with answers. To schedule an appointment, please call our office or you can use our secure online appointment request form. 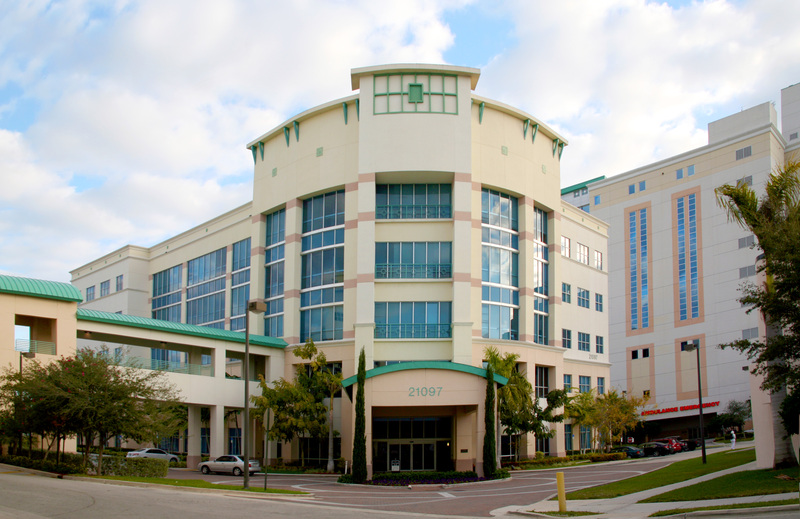 We are conveniently located inside the Aventura Heart & Health Building on the campus of Aventura Hospital, just west of Biscayne Boulevard (US 1) at Northeast 27th Court and 211th Street. Valet parking is 5 dollars in the parking garage. In the event of a life threatening medical emergency, call medical emergency services at 911 immediately. DO NOT WAIT! Inform the emergency room staff that you are a patient of Dr. Alan Ackermann, and they will contact us. If you have an urgent medical need and wish to talk to our doctors after our regular hours, please call South Florida Institute for Wellness and Health at (305) 935-5101. A doctor is on-call 24 hours a day, and your call will be returned promptly. If you have a question related to your bill or insurance, please contact the billing specialists at South Florida Institute for Wellness and Health at (305) 935-5101. At South Florida Institute for Wellness and Health, we accept Medicare, Medicaid and most major insurance plans. Please contact your insurance company, or call our office at (305) 935-5101 to find out if we accept your insurance plan. Prescriptions and refills for established patients of South Florida Institute for Wellness and Health are routinely issued during our regular office hours (see above). You can make your request by calling our office at (305) 935-5101. No refills are issued during the evenings, weekends, or holidays, as the doctors do not have access to your medical records during those times. It is helpful to anticipate your refill needs to avoid an interruption in your medication therapy.